Vicente Rogmanolly, 67, died after being run over on Avenida Balboa, near the Hospital del Niño early on Sunday, December 2. 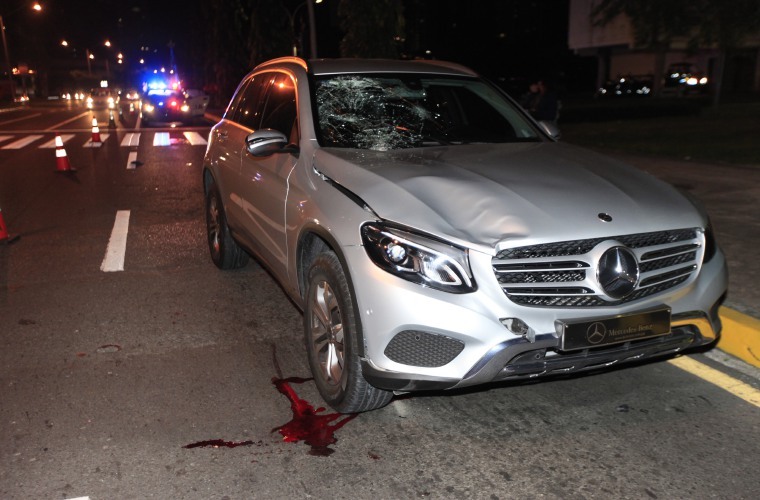 Early reports said he was struck while on a zebra crossing but the driver of the Mercedes Spanish Ambassador to Panama, Ramón Santos Martínez said the victim was attempting to cross the road when the lights were against him. Rogmanolly died in the Emergency Room of the Hospital Santo Tomás, minutes after his admission, medical sources reported. The strong impact threw him into the air and damaged the hood and the windshield of the vehicle. The ambassador is 59 years old and presented his credentials in Panama in 2015. He remained at the scene and is cooperating with police investigators. Two other pedestrians were killed in traffic incidents on Sunday. Not if they are crossing against a light. I thought the "rule" was that traffic is to give way to anyone crossing the street in the marked cross walks (zebra crossing?)! Any one of the cars in Panama that have flashing blue and Red lights on the dash should be setting an example of maintaining the speed limit. In EVERY case that I have seen these cars, they are going at least 40 kph over the limit (yes 140 kph at the top end).